Thank you for joining us, with keynote Kristen Sullivan of Deloitte, as we celebrated local sustainability leaders. This year's event was held in conjunction with the 2030 Districts Network Summit with 2030 District leaders from across North America. Charter Oak Communities recently constructed the 132,000 sf 216-unit mixed-income Park 215 apartment building. The project is designed to meet current Energy Star Multi-Family High Rise standards and Connecticut Housing Finance Authority (CHFA) requirements. The designed site EUI of 33.8 kbtu/sqft is well below the Stamford 2030 baseline EUI of 88 and better than the typical EUI range of 40-50 seen on most Energy Star certified buildings. Martin Luther King, Jr. Apartments is a 13-story masonry tower of 89 one, two, and three-bedroom affordable apartment units constructed in 1972. Two existing cast iron boilers were replaced with five condensing boilers with operating efficiencies of up to 99%, and a natural gas-fired 75kW Combined Heat and Power unit ("CHP" or "cogen"), capable of generating 523,000 BTUs of heat per hour and 75kW of electricity, resulting in an annual utility budget reduction of 25%. Point72 Asset Management, L.P. expanded its headquarters with the newly constructed 27,000 sf 43 Gatehouse building. The design includes LED lighting and controls, air source heat pumps, a 98% efficient natural gas fired boiler, VFD controls and a highly reflective roof. Annual electric savings are estimated to be 88,000 kWh, and annual gas savings of 11,600 ccf. The School Sisters of Notre Dame (SSND) completed a comprehensive energy efficiency project on their 38-acre campus in Wilton, Connecticut. The complex includes 200 dormitory-style rooms, a commercial kitchen, a 40- bed licensed nursing facility, a Montessori School, a chapel, offices, and three additional residences. The retrofit included envelope improvements, high-efficiency LED lighting, modulating steam boilers, water conservation measures, heat destratification, and two planned solar installations generating an estimated 200,000 kWhs annually. Stamford Health’s new 650,000-square-foot hospital was recently certified through U.S. Green Building Council’s Leadership in Energy and Environmental Design (LEED) for Healthcare, making it the first building recognized through the LEED for Healthcare rating system in the state, and the largest project nationwide. About 85% of the project's construction waste was recycled, and its white roof reduces the need for cooling throughout the year and improves the building’s resilience in extreme heat events. Kristen is a partner serving as the Sustainability Risk Advisory and Assurance services leader in Deloitte & Touche LLP and Deloitte Touche Tohmatsu Limited (DTTL). Kristen also serves as the DTTL Americas Region Sustainability Services leader and leads Deloitte’s Supply Chain Social Compliance services. She brings specialized insights to these regulatory and compliance reporting requirements and the implications of environmental and social issues to corporate brand and reputation. 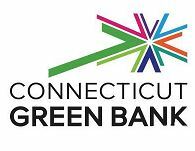 Kristen also serves on a number of task forces and advisory councils of leading sustainability standard setting and reporting initiatives, including the Stamford 2030 District's advisory board.